Fake a clean home in less than 15 minutes. If you want to get your home truly clean, you'll have to get down and dirty with the best cleaning tools and a time-saving cleaning routine. But regardless of how clean your home actually is, there are some mini moves you can make right now to create a home that at least feels clean. Tiny tweaks like switching to a new bathmat that won't show wear and making your home smell fresh will trick you—and your guests—into thinking your home is cleaner than it is. 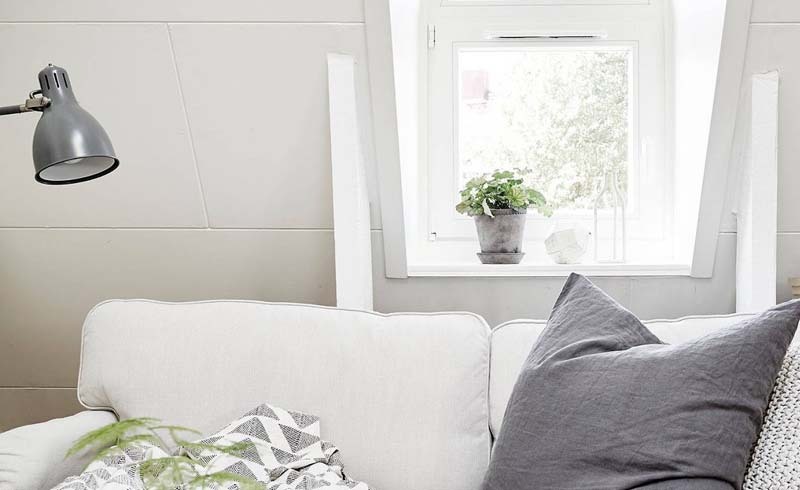 While these tips are no replacement for actually dusting the living room and deep-cleaning the bathroom, they will help make your home feel cleaner in a fraction of the time. Adding a plant or a bouquet of fresh flowers is an easy way to instantly make any room feel more well cared-for. That's why it's a common staging trick used by real estate agents and a styling trick for magazine photo shoots. Plus, some plants don't just make the room look clean, but certain varieties actually purify the air. Fresh flowers also help make a room appear more polished. Plus, the light floral scent will give your home a wonderful aroma. Want to make your kitchen or bathroom counter look instantly neater, but without actually having to do the hard work of getting rid of anything? Simply add a shallow tray that can corral the bottles in the bathroom or the spices, condiments, and cooking tools in the kitchen. Try a lacquer tray on a side table in the living room and a pretty blush glass tray in the bathroom. If you don't have time to make your home actually clean, you can at least make it smell clean. Invest in an essential oil diffuser. Turn on the diffuser right when you get home from work or 30 minutes before guests come over to make your home smell fresh. The cleanest-smelling essential oils to use? Try lemon, tea tree, or eucalyptus. Swap out your fabric bathmat—which gets soggy, shows dirty footprints, and collects bath towel fuzz—for a sleek bamboo bathmat. A wooden mat will instantly give your bathroom spa vibes, and it won't show signs of wear like a woven mat does. Committing to making your bed every single day is one of the simplest ways to make your home feel cleaner (even though it doesn't require any real cleaning, dusting, or decluttering). At the end of a long day, coming home to a bedroom where the bed is neatly made will make you feel better about the state of your entire house. And it requires devoting less than five minutes of your time each morning. Even if a living room has freshly cleaned floors, dusted shelves, and washed windows, if the throw pillows are crumbled in the corners of the couch and there's a blanket hanging onto the floor, the room will look disorganized. Luckily, the reverse is also true. Spend five minutes fluffing the pillows, neatly arranging a throw blanket over the arm of the couch, and tidying up the coffee table to give the impression that the room is neat and tidy. 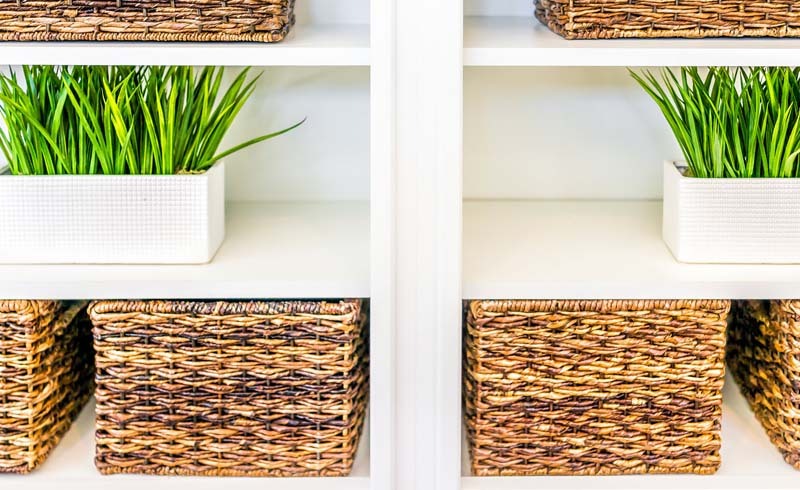 Never underestimate the power of baskets to make a home look cleaner than it is. In the kids' bedroom or playroom, woven bins and baskets can hold every last Lego. In your bathroom, let small lidded baskets hold makeup or hair clips. And in the bedroom, use shallow baskets to stash spare blankets, then tuck them out of sight under your bed.